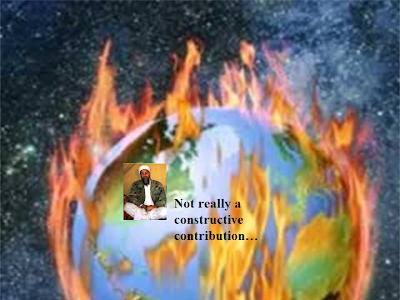 "Osama bin Laden, the leader of Al Qaeda, blamed the United States and developed countries for not halting climate change and said that the global economy should immediately abandon its reliance on the American dollar, according to an audiotape released Friday by the broadcaster Al Jazeera." 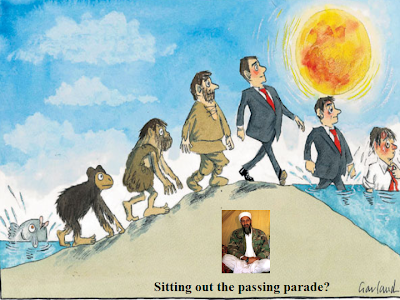 "In the [newest] message…bin Laden veered away from his traditional vows to inflict death and destruction on the United States, and instead discussed climate change, globalization and monetary policy in a message that he said was directed to ‘the whole world.’"
"He called for a worldwide boycott of American goods and the dollar. He faulted the United States for failing to sign the Kyoto Protocol, which sought to curb global warming by restricting greenhouse gas emissions. And he offered a word of praise for Noam Chomsky, the American linguist and liberal political activist." 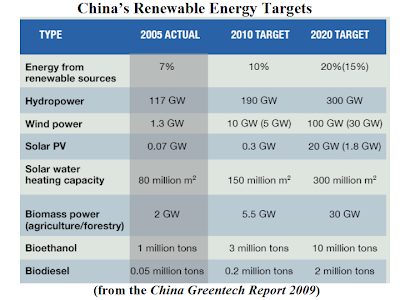 Is clean tech China's moon shot? ; So far, wind turbines are not Sputnik. But one day they could be. "The global race to develop clean technology is not just about who can build the best solar parks or wind farms. It is also shaping up as a contest between Chinese-style capitalism and the more market-oriented approach fancied by the United States and Europe…[W]ill China's highly capitalized command-and-control economy trump laissez-faire in a low-carbon shift that is widely portrayed as the next industrial revolution? "…[The] Chinese are coming on strong…Beijing's top leaders have made clear their intention to have their nation dominate this new industry, up and down the value ladder…[T]hey are not burdened by concerns facing their Western counterparts -- such as the impact of wind turbines on landscapes, higher energy prices for consumers, or investor returns…The recession has made it tougher for Europe and America to effect meaningful climate policy change...[P]oliticians likely will find it harder to earmark additional voter money for clean technology…Instead, recession-hit Western economies are hoping the private sector can plug an estimated worldwide $150 billion annual funding gap to avoid more extreme droughts and floods." "The global wind industry highlights diverging tactics between China and the West in developing important new markets…China is leapfrogging global wind power rankings with a combination of aggressive growth targets and domestic support. It has doubled its entire installed capacity each year since 2005…This month, the British government announced plans for 32 gigawatts of offshore wind by 2020…[but the plan] depends on 100 billion pounds of increasingly finicky private capital. And this is an election year…British policymakers have to make a choice: either create bigger incentives for investors to underwrite offshore wind power or impose additional taxes on fossil fuels, which would make carbon-based energy less profitable." "An undeniable edge for China is its huge pile of foreign exchange reserves…[and] Beijing's aggressive economic stimulus, which included funds for energy-efficient buildings…[A]n overheating Chinese economy may turn that tap down...Western economies are expected to spend much of their green recovery cash this year and next…In recession-battered Western nations, and in China, the prime motives for promoting clean technology are jobs, profits and energy security -- not climate change…An estimated $150 billion invested globally last year was only about half what is required annually by 2015 to avoid dangerous climate change..."
"If over the next 20 years the world is to boost renewable power, build greener buildings and roll out more fuel-scrimping cars including hybrid and electric models, it must invest more than an additional $500 billion annually…Many forms of renewable power are expected to be more expensive than their fossil fuel counterparts for at least another decade…Given the incompatibility of communist-style targets with western democracies, how can free markets mobilize more green technology cash? "…Western nations could boost clean investor returns with a tax on fossil fuels or guaranteed higher prices for renewable power. And...governments could adopt standards...requiring homes to install smart meters, for example...[but this] doesn't seem politically palatable at the moment…But pension funds and other institutional investors can do more. Even if they don't put more of their own money into clean tech, they can use their clout to encourage more conventional energy companies to clean up…A discouraging sign...is the cloudy future of cap-and-trade plans…Opposition to cap-and-trade among U.S. Republicans and some Democrats could block the roll-out of a federal trading scheme…[and] last month's U.N. summit in Copenhagen [did not advance an international system]… Does all this suggest China is destined to win the clean tech race? Hardly, though it does seem to have a little more forward momentum...But it's still very early goings, and there's more at stake than business success." 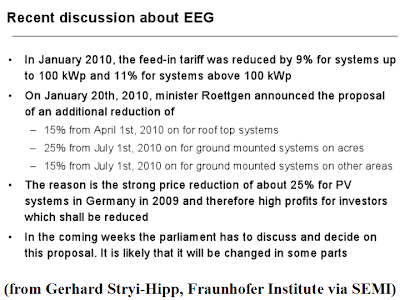 "…[The new German] government [intends] a fundamental correction of the EEG mechanism [and the feed-in tariff (F-i-T in it]. At present the law encourages the production of electricity from wind, solar, hydro, biomass and geothermal energy, and guarantees the plant operators 20 years of fixed payments for their electricity. These are occasionally substantially above the market price." "For PV systems that went into operation in 2009 the cost, dependent on the type of system ranges from €0.32 to €0.43/kWh of electricity. This makes producing solar panels by far the most expensive green energy. By comparison, conventionally produced electricity… [is around] €0.05 to purchase. 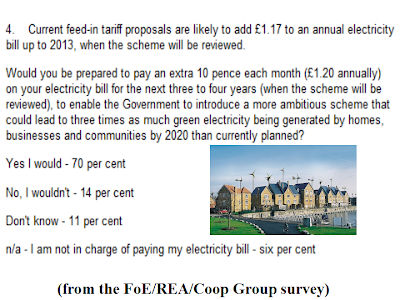 The difference between market price and the feed-in tariff is passed on to consumers. In 2008 alone the total eco-compensation was approximately €8.95 billion. "PV systems are also very attractive as investment properties…[because] the prices of [solar systems] have fallen significantly…[and] the electricity generated will continue to be paid at the [elevated] statutory level. The EEG [digression rate]…is too low, even from the perspective of the system manufacturer." "…[1} Rooftop: From April 1. -15%… Free field: From July 1. 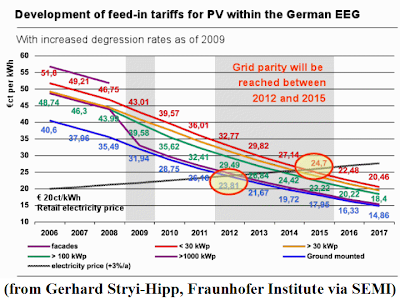 -15%… Free field "pure farm" and "Valuable" land": -25%… "Direct use of pv electricity": plus €0.05/kWh (this change is yet to be clarified, until now it was a bonus for systems <30KWp-)… Future regulation for PV in the EEG: Mechanisms are to stay the same, a reduction will occur from 1.1.2011 according to EEG 2009 regulation. Market target is now 3GW/a, if >3,5 GWp/a is reached a further -2.5%, at 4,5GWp another 2.5% will be cut…"
"The King Abdulaziz City of Science and Technology (KACST) on Sunday launched a major national initiative to produce desalinated water and electricity at a much cheaper rate — less than a riyal for a cubic meter of water and 30 halalas per kilowatt/hour. "Prince Turki bin Saud bin Muhammad, vice president of KACST for research institutes, said the initiative would reduce the cost of water and electricity production by 40 percent. He said the first solar-powered desalination plant with a capacity of 30,000 cubic meters would be established in Al-Khafji to serve 100,000 people." "Saudi Arabia supplies more than 18 percent of the world’s total desalinated water…Petroleum and Mineral Resources Minister Ali Al-Naimi [recently said] the Kingdom aims to make solar energy a major contributor to power supply in the next 5-10 years…The oil minister also pointed out that King Abdullah University of Science and Technology (KAUST) in Thuwal, near Jeddah, would use its research facilities to develop solar energy to meet a significant portion of the Kingdom’s growing power needs. Electricity demand in the Kingdom is growing at the rate of seven percent annually." "The new initiative was carried out by the ministries of finance, water and electricity, and commerce and industry, and the Saline Water Conversion Corporation. There are lots of scope for Saudi Arabia to use solar energy because of the availability of strong sunlight throughout the year, estimated at 2,000 kilowatt for each square meter. "In the second phase of the project, a desalination plant with a capacity of 300,000 cubic meters of water daily will be established…"
"Government officials are putting the finishing touches to plans to boost the take-up of renewable energy in Britain - which is the lowest in Europe - through a system known as the "clean energy cashback", or feed-in tariff…In July last year the government unveiled the scheme which has been used successfully for years in other European countries and pays above-market rates for green electricity produced by consumers." "But the proposed tariff levels for power produced by small wind turbines, solar panels and micro hydro schemes were criticised by green campaigners as not being high enough to encourage businesses, households and communities to invest. 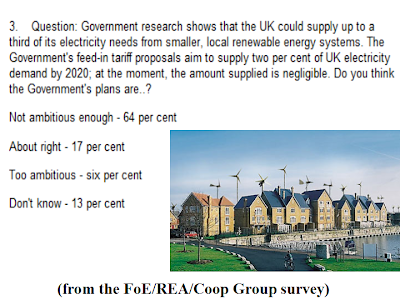 "A YouGov survey of more than 2,000 people carried out for Friends of the Earth (FoE), the Renewable Energy Association (REA) and the Cooperative Group shows two-thirds of people think that the government's plans are not ambitious enough, while 71% of homeowners said they would consider installing green energy systems if they were paid enough cash. The Department of Energy and Climate Change is expected to announce the tariff levels next week…"
"Jeremy Leggett, the executive chairman of solar energy group Solarcentury, said that the new government scheme could yet deliver hundreds of thousands of jobs in solar photovoltaics and other small-scale renewables [and cut the UK’s dependence on imported fossil fuels]…"
"President Obama did not mention wind energy [in his address]…[H]e did not need to… since in recent days members of his Administration have been citing the latest wind energy growth statistics as a successful outcome of the Recovery Act. "What was more striking…was the fact that each time he talked about jobs--the highest priority for his administration going forward--he immediately mentioned clean energy jobs. The two ideas became a single vision. The President reiterated his commitment to building a new energy economy and showed that he understands the role wind energy and solar and other renewables are playing in the creation of new jobs. That sends a strong signal to the American people." "The President also touched on the increasing global competition in the construction of clean energy manufacturing facilities, saying in reference to China, India and Germany, "These countries are making serious investment in clean energy because they want those jobs. "He also renewed his call for 'a comprehensive energy and climate bill with incentives that will finally make clean energy the profitable kind of energy in America. ..Providing incentives for energy efficiency and clean energy are the right thing to do for our future – because the nation that leads the clean energy economy will be the nation that leads the global economy. And America must be that nation.'" "How do we get the manufacturing jobs here? How do we get the investment? 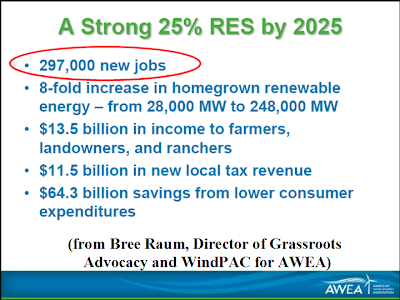 A renewable electricity standard (RES), which is part of the comprehensive energy and climate bill…"
[Denise Bode, CEO, AWEA:] “The wind energy industry applauds the President's emphasis on job creation. 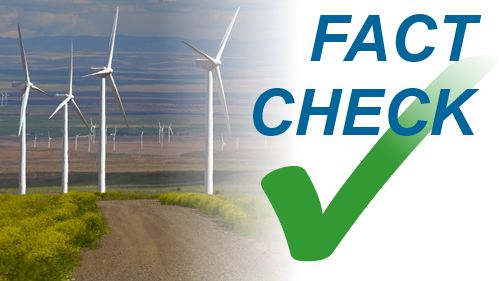 Under the President's leadership, the Recovery Act saved 40,000 wind jobs. The industry now looks forward to working with the President to put in place the policies—including a national Renewable Electricity Standard—which will create thousands more, including in manufacturing. 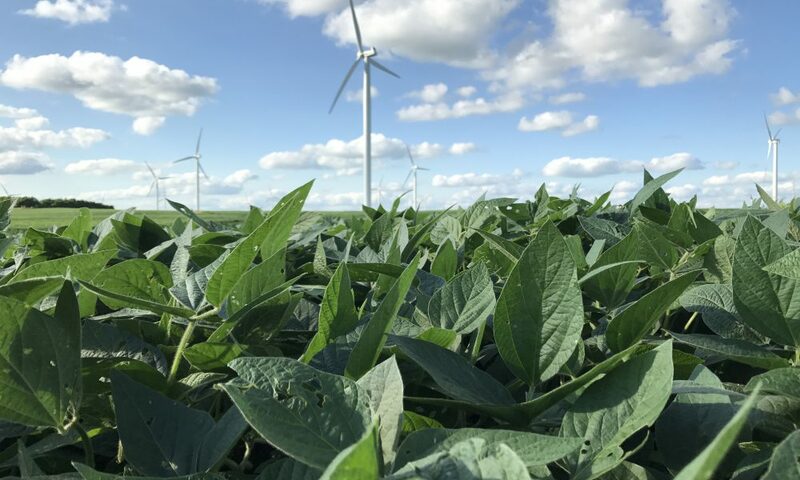 A Renewable Electricity Standard (RES) with strong, aggressive near-term targets is the best way to provide the certainty needed for businesses to expand domestic wind manufacturing." "2009 was tied for the second warmest year in the modern record, a new NASA analysis of global surface temperature shows…[The] Goddard Institute for Space Studies (GISS) [study also showed]…that in the Southern Hemisphere, 2009 was the warmest year since modern records began in 1880. "Although 2008 was the coolest year of the decade, due to strong cooling of the tropical Pacific Ocean, 2009 saw a return to near-record global temperatures…[It] was only a fraction of a degree cooler than 2005, the warmest year on record, and tied with a cluster of other years — 1998, 2002, 2003, 2006 and 2007 1998 and 2007 — as the second warmest year since recordkeeping began…"
"January 2000 to December 2009 was the warmest decade on record. Throughout the last three decades, the GISS surface temperature record shows an upward trend of about 0.2°C (0.36°F) per decade. Since 1880, the year that modern scientific instrumentation became available to monitor temperatures precisely, a clear warming trend is present, though there was a leveling off between the 1940s and 1970s. "The near-record temperatures of 2009 occurred despite an unseasonably cool December in much of North America…[because of]…an unusual effect that caused frigid air from the Arctic to rush into North America and warmer mid-latitude air to shift toward the north…In total, average global temperatures have increased by about 0.8°C (1.5°F) since 1880…Climate scientists agree that rising levels of carbon dioxide and other greenhouse gases trap incoming heat near the surface of the Earth and are the key factors causing the rise in temperatures…but these gases are not the only factors that can impact global temperatures." "Warmer surface temperatures also tend to occur during particularly active parts of the solar cycle, known as solar maximums, while slightly cooler temperatures occur during lulls in activity, called minimums…A deep solar minimum has made sunspots a rarity in the last few years. 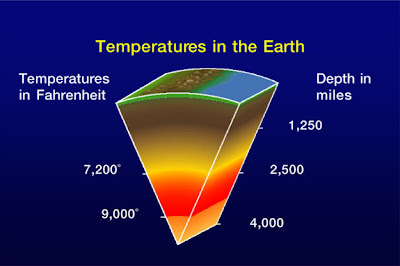 Such lulls in solar activity…typically spur surface temperature to dip slightly…[but] are thought to produce no more than 0.1°C (0.18°F) of cooling or warming…Small particles in the atmosphere called aerosols [like sulfate aerosols from volcanoes] can also affect the climate…But volcanic eruptions in 2009 have not had a significant impact…[O]ther types of aerosols, often produced by burning fossil fuels…probably counteract about half of the warming produced by man-made greenhouse gases…"
"To conduct its analysis, GISS uses publicly available data from three sources: weather data from more than a thousand meteorological stations around the world; satellite observations of sea surface temperature; and Antarctic research station measurements…These three data sets are loaded into a computer program, which is available for public download from the GISS website. 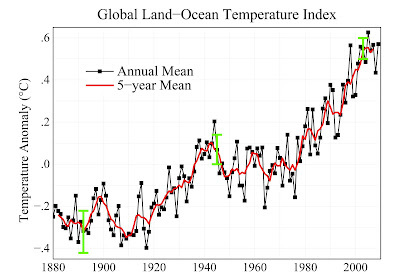 The program calculates trends in temperature anomalies — not absolute temperatures — but changes relative to the average temperature for the same month during the period of 1951-1980…"
[James Hansen, head climate scientist, NASA:] "There's a contradiction between the results shown here and popular perceptions about climate trends…In the last decade, global warming has not stopped." "As Barack Obama begins his second year in office, the public’s priorities for the president and Congress remain much as they were one year ago. Strengthening the nation’s economy and improving the job situation continue to top the list. And, in the wake of the failed Christmas Day terrorist attack on a Detroit-bound airliner, defending the country from future terrorist attacks also remains a top priority. 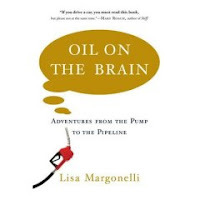 "At the same time, the public has shifted the emphasis it assigns to two major policy issues: dealing with the nation’s energy problem and reducing the budget deficit. About half (49%) say that dealing with the nation’s energy problem should be a top priority, down from 60% a year ago. 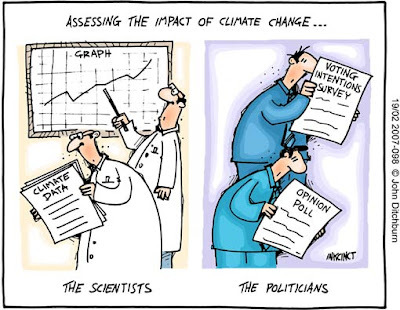 At the same time, there has been a modest rise in the percentage saying that reducing the budget deficit should be a top priority, from 53% to 60%…Other policy priorities show little change from a year ago…"
"Dealing with global warming ranks at the bottom of the public’s list of priorities; just 28% consider this a top priority, the lowest measure for any issue tested in the survey. Since 2007, when the item was first included on the priorities list, dealing with global warming has consistently ranked at or near the bottom. Even so, the percentage that now says addressing global warming should be a top priority has fallen 10 points from 2007, when 38% considered it a top priority. Such a low ranking is driven in part by indifference among Republicans: just 11% consider global warming a top priority, compared with 43% of Democrats and 25% of independents." "Strengthening the nation’s economy, improving the job situation and defending the country from future terrorist attacks are far-and-away the top three policy priorities for the public…Democrats also are far more likely than Republicans to put a top priority on dealing with global warming, the problems of poor and needy people, protecting the environment, reducing health care costs and improving the educational system. In each case, Democrats are at least 20 points more likely than Republicans to consider each of these issues top priorities…Republicans, by contrast, place [20 points] more emphasis than do Democrats on strengthening the military, dealing with illegal immigration, and reducing the influence of lobbyists and special interests in Washington…"
"…[A]s major retailers begin to push a do-it-yourself movement in solar energy, some experts say green-minded homeowners generally shouldn't get on a ladder either - even if it means paying more for installation. "Solar panels hit the shelves in early December at Lowe's stores in California, and the chain plans to stock them in other states this year. Home Depot already sells them online. 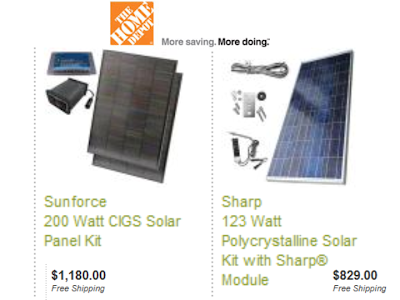 While many around the industry support solar energy's move into the mainstream, there are some concerns: Electricity is involved, as well as a pile of paperwork for permits and government subsidies…[Panels cost $1,000 and can be dropped…Roofs can be damaged]…The home improvement stores aim to capitalize on an increasingly trendy form of alternative energy by cutting installation costs that amount to about a third of the total bill…U.S. 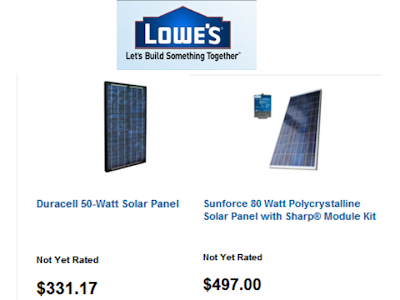 solar electric capacity grew by 63 percent in 2008, triple the growth in 2005…[and] half of the people… recently polled said they were thinking about solar power for a home or business…[Lowe's] officials are encouraged enough to add them in more stores…"
:Cinnamon acknowledges that the panels require skill to properly install. He put 30 panels on his 4,000-square-foot house but hired an electrician to link them to the electrical grid - required by law in Maryland. His bill went from $400 a month to $12…[Many, like Cinnamon, are not] ready for DIY panels. At Home Depot…most customers still want to hire a professional…That's the case across the state… [T]he Maryland Energy Administration…offers grants of up to $10,000 for solar-power systems, on top of a 30 percent federal tax break…In the fiscal year that began in July, records show 662 people have applied and just a handful appear to be doing their own installation." "In evaluating an installation company, there are no specific solar licenses, but an independent group, the North American Board of Certified Energy Practitioners, has a voluntary national certification program…[It would be wise to check] to see how long a contractor has been in business and to ask for references…[T]he Green Building Institute…offers classes [on buying a solar system…[and the] executive director of the institute [said] no one has asked about doing the job himself and added that he would voice his concerns if they did. To start, not every house is suited for solar…"
"If they can pull it off, sheets of ice will soon cover large swaths of the California power grid. "The Southern California Public Power Authority and Ice Energy [plan] to deploy ice air conditioners on a broad scale in the region in part by shifting the burden of paying for a new air conditioner from the building owner to a utility. In one community in the program, a utility will pay for the air conditioners and own them as its own asset…[T]he air conditioners slated for deployment in Southern California could lead to 53 megawatts worth of energy storage…[and] provide 64 gigawatt hours of daytime power each year. 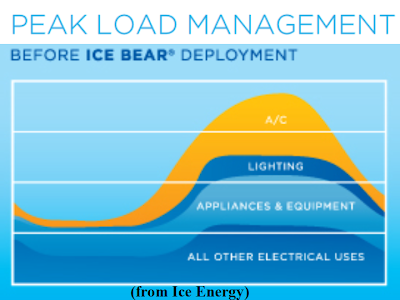 Fifty megawatts of power can be shaved from daytime demand with about 5,500… Ice Bear units…"
"Ice air conditioners work by effectively shifting the power required to run air conditioners from the middle of the afternoon, when power costs the most and demand is highest, to nighttime, when utilities often have to dump the power they generate because of slack demand…[T]he machines make ice at night. As it melts, the chill is transferred to heat exchangers and distributed through a building. The six hours of chill the ice can provide can ideally get most buildings though the bulk of the day. The giant icemakers often sit beneath parking lots. "Ice air conditioners have been around since the 1920s, when movie theaters used to deploy them to draw crowds on hot summer days. (And long before that, Roman Emperor Varius Avitus had snow mounds brought to his garden to generate cool breezes…In more recent times, ice air conditioners have been placed in shopping centers and university buildings…[But ice air conditioners still make up] only a fraction of the market. 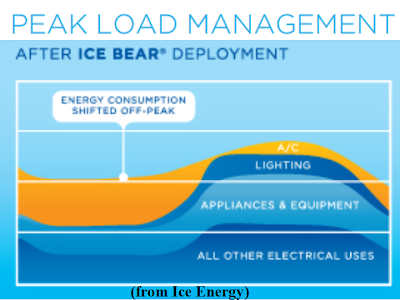 Ice Energy has been pushing to accelerate sales by changing incentives and ownership structures…because they are so expensive] payback can take years…"
"Three U.S. representatives last year proposed a bill that would provide business owners and consumers a 30 percent tax credit for installing ice systems…[to] spur demand in places where utility-based programs don't exist…[by defraying] costs for the utility…"
Geothermal energy had a remarkable year in 2009 but that’s not the real story the statistics in U.S. Geothermal Power Production and Development Update, from the Geothermal Energy Association (GEA), tells. Despite the recession and thanks to financing opportunities provided in the American Recovery and Reinvestment Act (ARRA), geothermal energy ended the year with a total U.S. installed capacity of 3,152.72 megawatts. 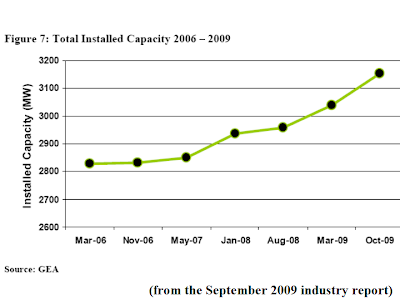 The industry saw a 46% growth over its 2008 installed capacity and had a 33% increase in the jobs it supplies. But the real story is what the report suggests about geothermal energy’s potential. 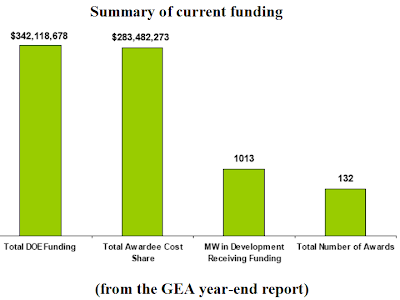 ARRA, the U.S. Department of Energy (DOE) and other federal sources have made $626 million in research, development, demonstration and deployment funding available to an industry that already has 6,442.9 megawatts of new geothermal power plant capacity under development. 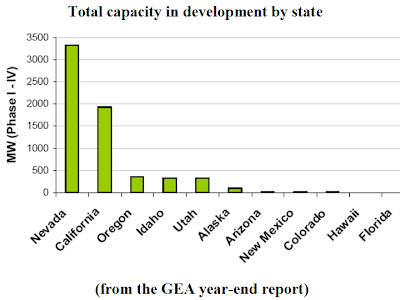 This adds up to the conclusion that GEA’s goal of 10 gigawatts (10,000 megawatts) of installed U.S. capacity in the foreseeable future is a reasonable and achievable possibility. 10 gigawatts of installed capacity would meet the electricity demand of 10+ million people. 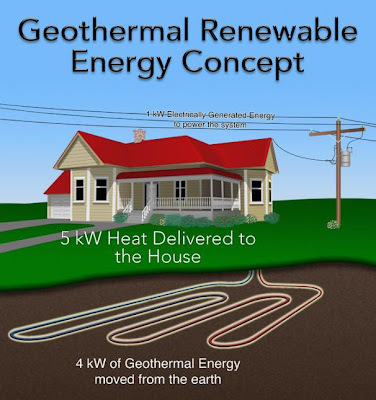 But if estimates of the future potential of emerging technologies prove correct, that is just the beginning of what geothermal can do for the domestic energy supply. And remember: That’s 10 gigawatts of baseload, 24/7 electricity generation and 10 gigawatts of fossil fuel power plants eliminated. The infusion of public and private funding will advance the emerging technologies. 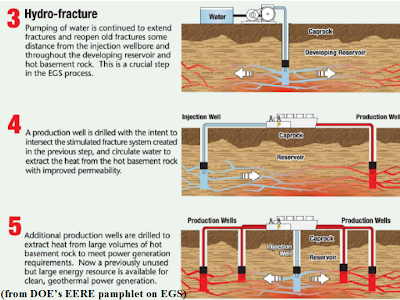 Producers remain excited about Enhanced Geothermal Systems (EGS) and the estimates of hundreds of thousands of potential megawatts EGS could produce despite controversies about potential seismic disturbances from the very deep drilling. Newly announced DOE regulations may delay the emergence of EGS but will certainly make what is eventually approved a more certain investment with a steeper growth potential. Geothermal Hydrocarbon Co-production (GHCP) offers the opportunity to cut costs by sharing expenses with other, ongoing drilling to develop thousands, or perhaps tens of thousands, of megawatts of power-producing hot water in oil and gas fields and mining operations. The U.S., with a total generating capability of 3,152.72 megawatts, is the world leader in geothermal energy installed capacity and it is a world leader in new capacity. 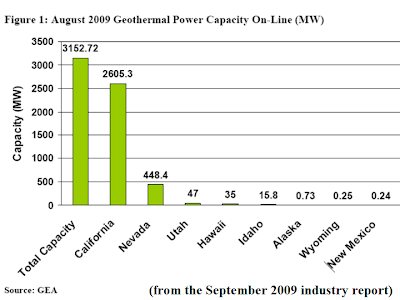 In September 2009, 8 states were generating electricity from geothermal energy: Alaska, California, Hawaii, Idaho, Nevada, New Mexico, Utah, and Wyoming. Oregon, Colorado, Florida, Louisiana, Mississippi and several other states will soon join the list. There are an identified 6442.9 megawatts of new U.S. geothermal power plant capacity in development. There are another ~665 megawatts of unconfirmed projects which, if developed, would increase the total of developing projects to 144 and the U.S. potential capacity to 7109.9 megawatts. 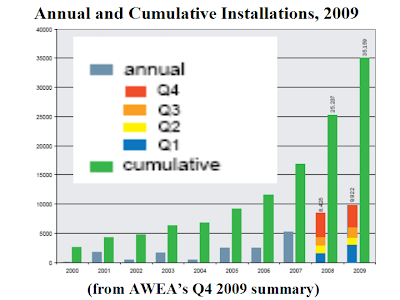 Only the Phase IV projects are counted as installed capacity. Alaska installed its first geothermal power plant in 2006 at Chena Hot Springs and now has 2 more units for at total installed capacity of 730 kilowatts. California, with 2605.3 megawatts of installed capacity, leads the nation. It gets more than 4.5% of its electricity from geothermal energy, amounting to 13,439 gigawatt-hours. Hawaii has 1 geothermal power plant, Puna Geothermal Venture, on the island of Hawaii. It has a nameplate capacity of 35 megawatts and produces 25-to-30 megawatts, which is ~20% of the electricity consumption of the Big Island. Idaho brought Raft River, its first geothermal power plant, online in 2008. It has a nameplate capacity of 15.8 megawatts and generates 10.5-to-11.5 megawatts. An expansion and several new projects are in development. 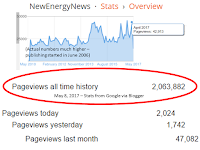 Nevada has 21 operating geothermal power plants with a total operating capacity of 448.4 megawatts and it is exploding with development. It has brought 3 new plants online in the last 6 months and also has more developing projects than any other state. New Mexico brought its first plant, Lightning Dock, a 0.24 megawatt project, online in July 2008. Lightning Dock will eventually produce 20 megawatts. Utah’s Blundell power plant Unit 1 has a gross capacity of 26 megawatts. Blundell’s Unit 2 has a capacity of 11 megawatts. In April 2009, Utah added the low temperature 10 megawatt Hatch Geothermal Power Plant which sends its electricity to Anaheim, California. Wyoming’s first geothermal project, a 250 kilowatt unit, came online in September 2008. 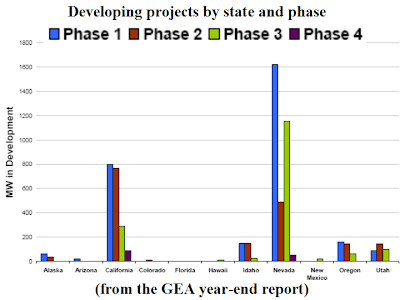 14 states have projects in development or under consideration: Alaska, Arizona, California, Colorado, Florida, Hawaii, Idaho, Louisiana, Mississippi, Nevada, New Mexico, Oregon, Utah, and Washington. 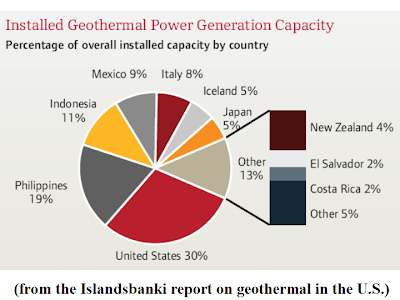 Geothermal producers sees promise in 4 emerging technologies: (1) Enhanced Geothermal Systems (EGS), (2) Geothermal Hydrocarbon Co-production (GHCP), (3) Geopressured Geothermal Resources (GGR), and (4) Geothermal Heat Pumps (GHPs). 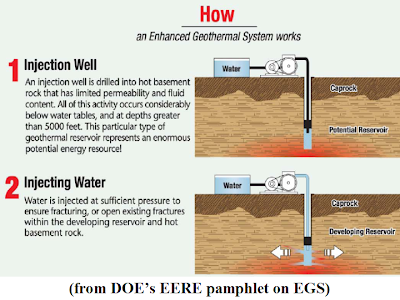 EGS is a way of artificially creating geothermal energy by drilling into the earth’s hot depths and pumping water down to it. EGS is new, unproven and problematic. There are several EGS research, development and demonstration projects underway. None is producing power at commercial scale and at least 1 has been stopped because of seismic activity associated with it. If EGS technology were proved, it could change the industry because it would turn any site into a geothermal field if, through deep drilling, the earth’s heat could be accessed. The first successful EGS facility may be at Desert Peak, Nevada, where the U.S. Department of Energy, in conjuntion with Ormat Technologies Inc., GeothermEx Inc. and others, is drilling a $5+ million pilot project at the site of the existing Desert Peak geothermal power plant. If it works, the EGS project will add 5 megawatts of capacity and be ready for commercial production by 2015. Geothermal Hydrocarbon Co-production (GHCP) is a method of capturing the heat from fluids brought up in oil and gas production and mining operations. A study of the Texas Gulf Plains by the Southern Methodist University Geothermal Energy Program indicated GHCP could generate 1000-to-5000 megawatts of electricity there. 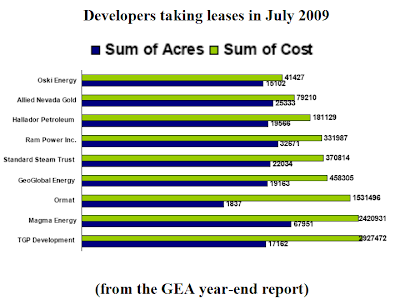 The GEA has data on 5 GHCP operations: (1) The Jay Oil Field project in Florida will use 120,000 barrels of co-produced water to generate 200 kW and aim for its larger 1 megawatt potential; (2) The Rocky Mountain Oil Test Center in Wyoming had, from 2008 to February 2009, produced 586+ megawatt-hours of power from 3.0 million barrels of hot water but was then shut down so the field network of wells could be modified to produce a more consistent volume of water; (3) The GCGE Oil Co-production in Mississippi will generate co-produced geothermal electricity from a producing oil well in a test 50 kilowatt-hour project; (4) The GCGE Natural Gas Co-production in Louisiana will generate 50 kilowatt-hours of co-produced geothermal electricity from natural gas production operations; (5) The Florida Canyon Mine in Nevada will deploy 2 “green machine” units that use groundwater from mining operations to generate electricity while cooling the mining operation water. Geopressured Geothermal Resources (GGR) is a technology most prominent in the northern Gulf of Mexico states of Texas and Louisiana (offshore and onshore). The USGS estimates GGR could generate thousands of megawatts of geothermal energy as well as 1,000 TCF of potentially recoverable natural gas. Congress authorized new technology demonstrations in 2007 but nothing has at present been done. The U.S. Geothermal Heat Pump (GHP) industry has grown steadily for 4 years. 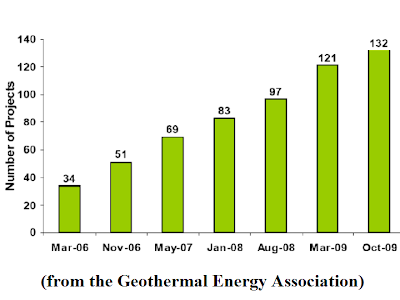 A February 2009 Energy Information Administration (EIA) report showed shipments of geothermal heat pumps (GHPs) increased 36% to 86,396 units in 2007. GHPs cost more than traditional heating and cooling systems but the high efficiency and ongoing savings makes them highly appealing to consumers with the resources and vision to plan for the long-term. Money: The DOE Geothermal Technologies Program (GTP) works with industry, academia, research facilities, and national laboratories to move geothermal technologies to commercial scale. The American Recovery and Reinvestment Act (ARRA) of 2009 provided up to $400 million in new funding for the GTP. The total amount allocated to geothermal in 2010 may be as much as $626 million. Unlike most of the rest of us, the geothermal energy industry is coming off a big 2009 with a ton of money in its pocket. A January conference in New York City attracted big attendance and the increased interest of venture capital. Last year was quite a year but 2010 may leave it looking dull. 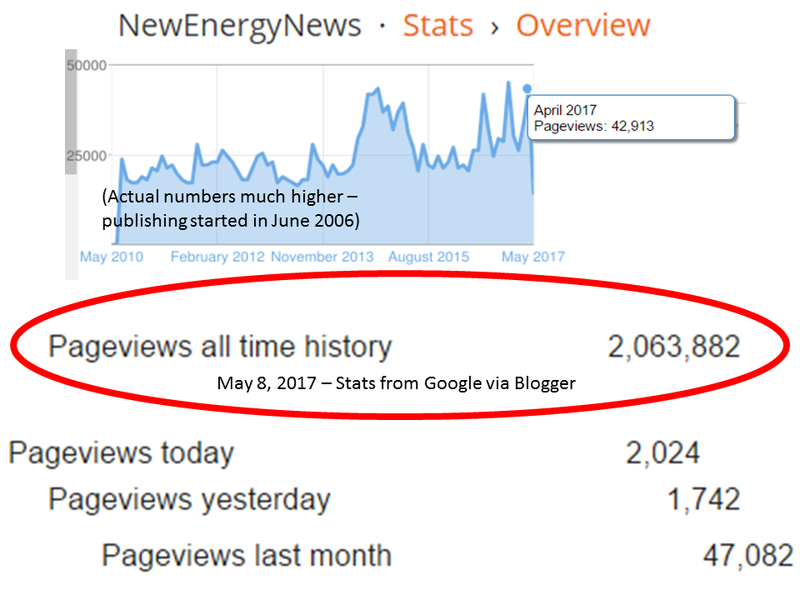 NewEnergyNews intends to keep a keen eye on how DOE handles new EGS regulations and how investors react. 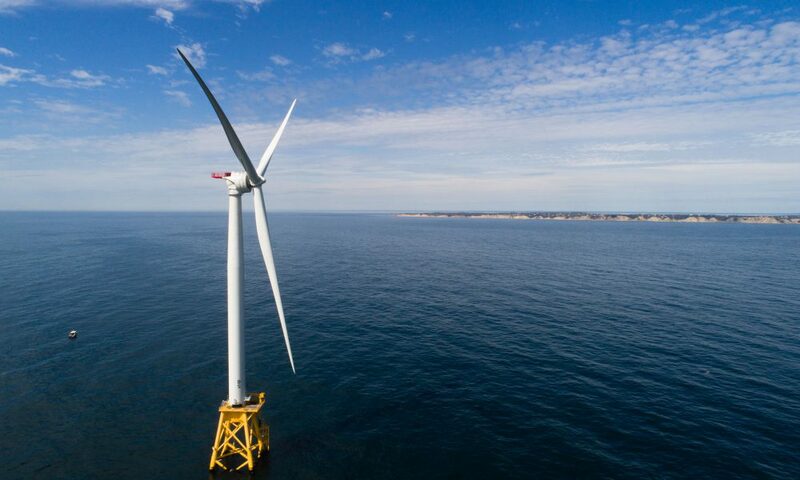 "After eight years of review, the future of a controversial wind farm off Cape Cod now rests in what would seem to be [the Obama administration’s] friendly hands…But it's tough to tell if Cape Wind's prospects just got better or worse. "Obama has never mentioned the project…Some Cape Wind advocates have chalked up Obama's silence to respect for the late Sen. Edward Kennedy, an early and influential Obama backer. Kennedy battled the project fiercely, writing Obama of his opposition the month before he died…Obama's Interior Secretary Ken Salazar, who pledged this month to decide whether to approve Cape Wind by the end of April, has called it "a good project." 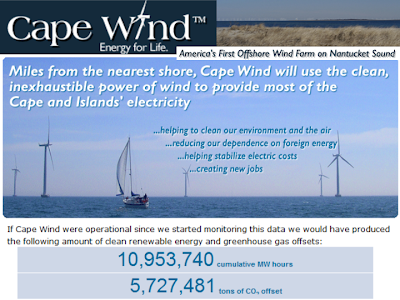 But two Obama appointees…have links to its chief opposition, the Alliance to Protect Nantucket Sound…[though they] are recused from any decisions involving Cape Wind…The Obama administration is awaiting the Interior Department's Cape Wind review before taking a position…"
"Cape Wind, expected to cost $1 billion, aims to provide 75 percent of the Cape's electricity with 130 turbines, each about 440 feet tall, erected in Nantucket Sound. Its developers stand to benefit as a major electricity provider to a state aiming to create enough wind power capacity to power 800,000 homes by 2020…Opponents say the project is a hazard to aviation and wildlife and would mar historic vistas, including the view from the Kennedy compound. They want it moved out of the sound to an alternate site Cape Wind says is not feasible. "Since he took office, Obama has spoken several times about [the value of onshore and offshore] wind energy…Barbara Hill of the pro-Cape Wind group Clean Power said she finds Obama's silence on Cape Wind [confusing] because its success is so crucial to future offshore wind projects…Sue Reid, an attorney with the Conservation Law Foundation and a project proponent, said she believes Obama is simply being careful not to prejudge the project before the approval process ends…"
"The sound was ruled eligible for that protection on Jan. 4…That ruling brought the prospect of more delay and prompted Salazar to intervene. 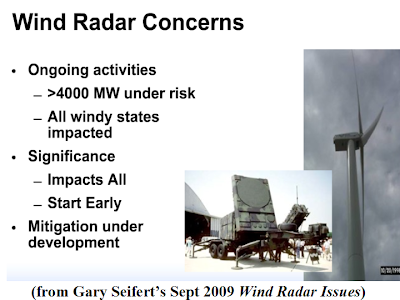 If he approves Cape Wind, a few smaller issues would remain, including review by the FAA, headed by [Randy] Babbitt. He has worked as an alliance consultant on its claims that Cape Wind could interfere with airplane radar signals… [but] has been recused from any involvement in Cape Wind decisions…Cape Wind spokesman Mark Rodgers said the project will ultimately succeed on its merits, which were validated over years of review…[It could be] the only offshore wind project [built] during Obama's term." Stirling Solar Goes Live: How Does it Compare to Mirrors? ; Sixty solar dishes go live in Arizona. Let the debate begin. "Which solar thermal technology works best? The debate will soon begin in earnest...Developer Tessera Solar has created a 1.5 megawatt power plant out of 60 SunCatcher solar thermal devices from Stirling Energy Systems. Later this year, Stirling will go into volume production which will enable Tessera to break ground on commercial scale solar plants in California (one 750 megawatt plant and one 850 megawatt plant) and Texas (a 27 megawatt plant). 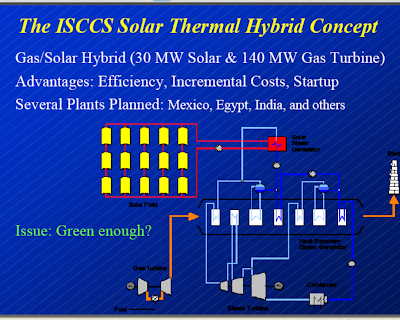 "The prototype 1.5 megawatt power plant comes after a few delays and a financial glitch for Stirling…[N]ow that the plant is up, Stirling will be able to compare the results its gets from its Stirling engines [with] heliostat prototype power plants erected by eSolar in Southern California and BrightSource Energy in Israel as well as parabolic trough systems…[already] commercially deployed…[Trough and heliostat technologies] collect solar heat on mirrors and use it to heat fluid. The warmth causes the fluid to expand, which creates pressure that gets exploited to crank a turbine." 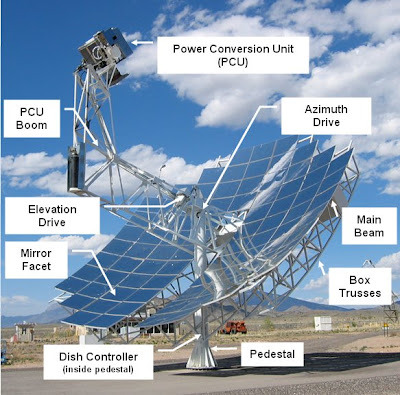 "The SunCatcher is made up of a giant parabolic dish of mirrors (40 feet across) to concentrate the sun onto a receiver called a "power conversion unit (PCU)." Sunlight heats up the hydrogen gas in tubes in the PCU, and the gas goes through a heat exchanger to run a four-cylinder Stirling engine. The engine then drives a generator to produce electricity…Stirling engines [go] back to 1816, when Robert Stirling in Scotland designed [and built] the first machine…to pump water from a quarry." "Each 25-kilowatt SunCatcher is its own mini electricity-generating unit…Stirling has claimed that its system is the most efficient: a prototype converted a record 31 percent of the energy striking it into electricity. 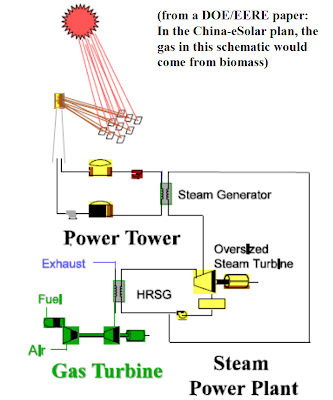 Stirling engines, however, transfer heat through the air. The others transfer heat through liquid. As a result, [the SunCatcher has no] mechanism for storing heat…Which one of these works best in which sort of environments will be one of the big issues for the solar thermal world. "And there are other solar thermal ideas emerging as well: HelioFocus (high temperature Stirling engines linked directly to turbines)…beam down concepts…[and concentrating photovoltaic concepts]…"
"…Vestas Wind Systems is experimenting with stealth technology, developed to help warplanes escape notice, to reduce a turbine blade's radar signature…[Blade tip speed is near that of small planes, confusing radar operators]…The confusion is caused by radar bouncing off moving wind turbines, creating a cloud of reflected signals…[A plane in the cloud of signals could be lost on radar]…"
"Global wind power capacity is now more than 120 gigawatts (GW), according to the Global Wind Energy Council (GWEC), and Vestas says as much as 9 GW of potential wind power is on hold because of objections by civilian, military and marine radar operators…In [the UK] the problem has led…[to objections] to more than 5GW worth of planning applications…[it has prevented development in the U.S. as well]…"
"The British Wind Energy Association welcomed all development efforts but said a range of solutions are needed…As GWEC estimates of the number of wind farms increasing on average by 30 percent per year, the problem of crowded skies is likely to make a solution to the problem ever more important." 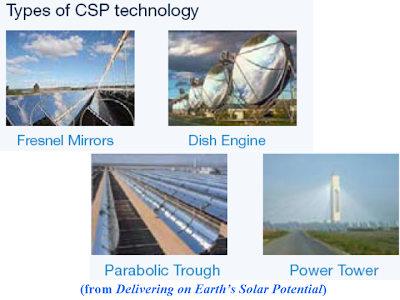 CSP-retrofits: A medium-term solution? ; Power generators are under increasing pressure around the world to reduce their environmental impact. 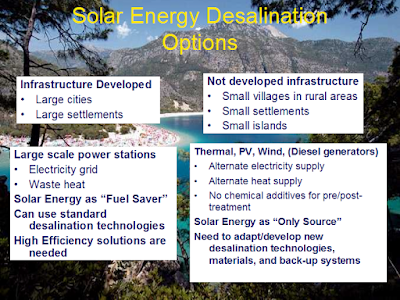 Bolting on solar capacity to existing conventional plants is one option on the table. But do the arguments for solar augmentation add up? "The southwest of the United Sates is to set to host two pioneering solar augmentation projects… Tri-State Generation & Transmission Association…[will] commence construction of the twin demonstration projects in 2011, with operations set to start “by 2014 or sooner”. "The larger of the two projects will be based at NV Energy’s Chuck Lenzie natural gas combined cycle plant. Located north of Las Vegas, Nevada, the 1102MW facility will have a 95MWe solar installation added…to integrate with the plant’s high-pressure stage…[enabling] the plant’s steam turbine to produce the same amount of electricity from less natural gas…[O]ne of the largest proposed integrations in the world, the project will be equipped with a superheated steam design that boosts the efficiency of the solar component." 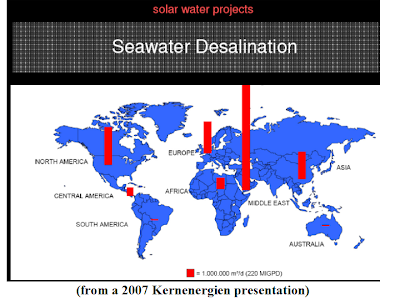 "…[O]ther solar augmentation proposals…[include the] Florida Power and Light…75MW parabolic trough project at its combined cycle gas-fired Martin Next Generation Solar Energy Centre [due in] 2010…Around a dozen more retrofit projects are currently under consideration in the United States, the Middle East and Europe…[including] a 1MW experiment plan by Xcel Energy to enhance the capacity of its Cameo coal plant through [parabolic trough technology] CSP…[In] New South Wales, Australia…US-based Ausra Fresnel reflector solar steam generators [are tesing] with existing coal-fired thermal plants…"
"Should the technology prove itself, the potential advantages of retrofitting…[include reduced] fuel use and greenhouse gas emissions …[and] solar augmentation plans inevitably impact the design of a power plant…[but] are likely to generate far fewer regulatory hurdles… than a new hybrid or stand-alone CSP plant…Existing power plants are already connected to the grid, forestalling problems with access to transmission that new CSP plants often face…[and] power plants boast the available water resources for cooling purposes that CSP also needs…[Retrofitting] achieves higher thermal to electric conversion efficiency and potentially lower costs compared to stand-alone solar facilities…[and the] solar component implies access to renewable energy credit markets and other fiscal incentives…[Retrofitting]…enables power generators to add utility scale solar without the huge start-up costs of a stand-alone plant…"
U.S. wind power, with almost 10,000 megawatts of new installed capacity built in 2009, had its 6th consecutive record-breaking year of growth. For the 4th year in a row, wind was second only to natural gas as the preferred source of new electricity generation. Perhaps the most important part of wind’s record-breaking year, as profiled by the American Wind Energy Association (AWEA) in its Q4 2009 summary, is that the performance came despite the worst recession since the Great Depression of the 1930s and a credit freeze that left much of U.S. business and industry nearly paralyzed. 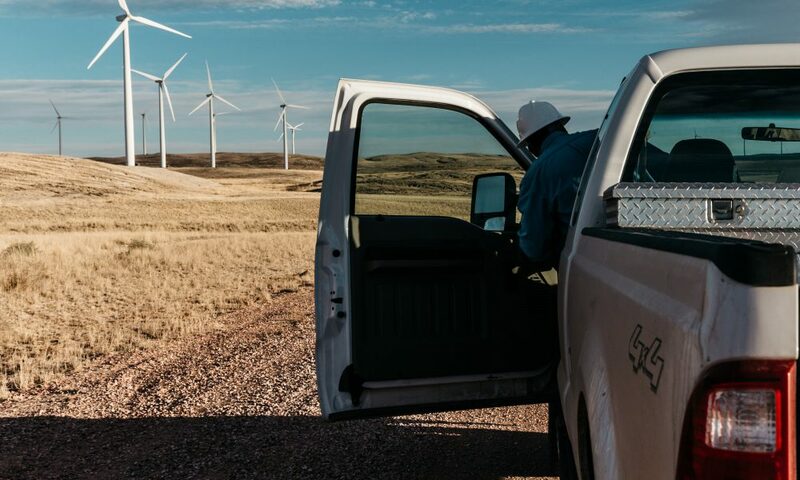 Buoyed by support from the Obama administration, wind saw growth in construction, operations and maintenance, and management jobs and was a singular bright spot in an otherwise bleak economic picture. The one sector of the wind industry that stalled due to the financial downturn, despite provisions in the American Recovery and Reinvestment Act (ARRA) designed to sustain growth, was manufacturing. 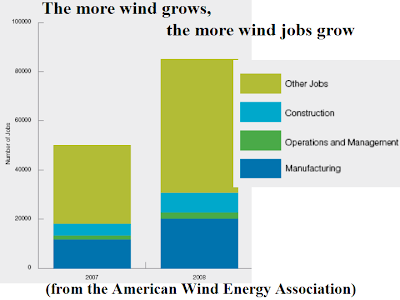 Plans made in 2007-08 to expand wind’s manufacturing capacity did not come to fruition in 2008-09. This was only in part because of the lack of financing. The hesitation of international and national wind manufacturers to expand U.S. capacity had much to do with the failure of Washington, D.C., to implement policies that would assure a growing market. While the U.S. continues to haggle over the proposed offshore wind projects in the New England, Mid-Atlantic and Great Lakes regions, European nations continue to lead the way in developing ocean wind resources. 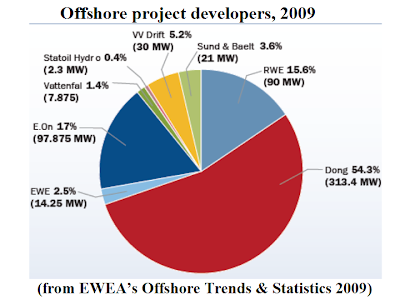 The European offshore wind industry - key trends and statistics 2009, from the European Wind Energy Association (EWEA), makes it clear that European wind manufacturers and developers, with enormous financial backing from their governments and visionary policy guidance from the European Commission, are pioneering offshore technology and positioning themselves to dominate the sector. Eventually, installations will be green-lighted in North America and throughout the rest of the world. By then, Europe’s wind industry will have manufacturing and field development expertise that will make them more than merely competitive in the field. It will be virtually necessary for U.S. manufacturers and developers to share the wealth of their markets in order to build state-of-the-art projects. 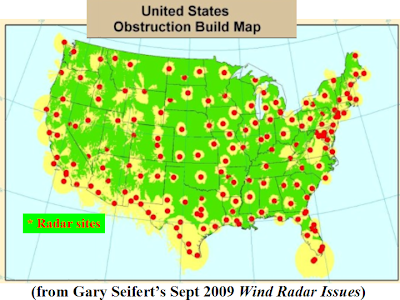 In 2009, 199 wind turbines totaling 577 megawatts were installed and connected to the grid. That was a 54% increase on the previous year and brought the total number of European offshore turbines installed and connected to the grid to 828, in 38 projects across 9 European countries, comprising a total installed offshore capacity of 2,056 megawatts. 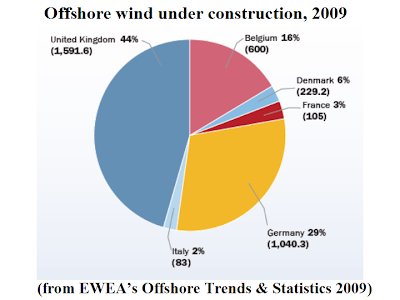 Europe's offshore wind industry used ~€1.5 billion in 2009 and that is expected to double in 2010 to ~€3 billion. In 2010, Europe is expected to complete installation of 1,000 megawatts, an increase of 75% over 2009. 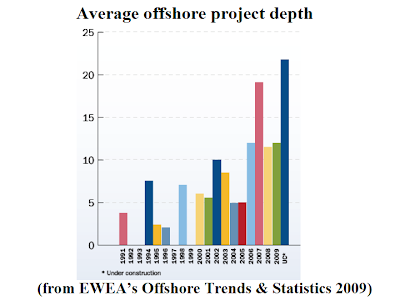 There are 17 offshore projects, representing a potential capacity of 3,500 megawatts, under construction in Europe. There are 52 more projects, representing a potential capacity of 16,000 more megawatts, that have been fully green-lighted. Utilities and developers are at present estimated to have 100+ gigawatts of potential offshore wind installed capacity being planned. Wind’s U.S. manufacturing sector saw a drop-off in investment and had one-third fewer job-rich facilities announced, expanded or brought online than in the preceding year. Orders sent to wind’s supply chain dropped off due the slowed economy, causing sales to stagnate and inventories to burgeon. The result was a net job loss in the sector. 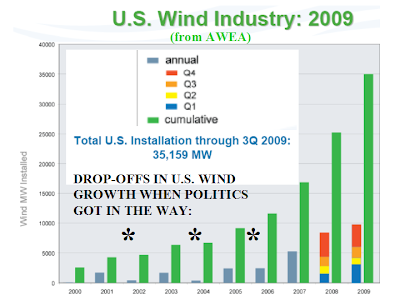 U.S. wind’s installed capacity growth was due in part to the 2007-08 expansion’s momentum. An expansion in manufacturing capacity would have required brand new investment. That it did not happen can be attributed to the reluctance of wind manufactures to take on new risk. 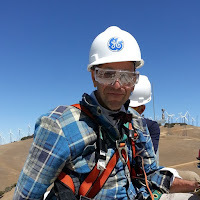 The manufacturers’ reluctance was a direct response to the refusal of the U.S. Senate to follow the lead of the House of Representatives and pass legislation containing policies and incentives that would assure the wind industry of a long-term market. Without such policies, investment in new manufacturing capacity is much riskier than making similar investments in places like China where governments have established targets and incentives guaranteeing long-term growth. There are 3 such policies that would be especially important in the U.S.: (1) A Renewable Electricity Standard (RES) requiring regulated utilities to obtain a significant portion of their power from New Energy sources by the middle of the 2020s; (2) a law putting a price on greenhouse gas emissions, either through a cap™ system or through another mechanism, so that it will become more expensive to go on using fossil fuels than to transition to New Energy; and (3) laws and/or regulations to facilitate new transmission that can deliver wind and the other New Energies from the remote locations where they are generated to the population centers where they are needed. U.S. wind built 4,041 megawatts in the 4th quarter last year. It was the biggest quarter of 2009, though not as big as the 4th quarter of 2008. The 9,922 megawatts built for the year expanded U.S. capacity by 39% and brought the total U.S. installed wind capacity to over 35,000 megawatts. 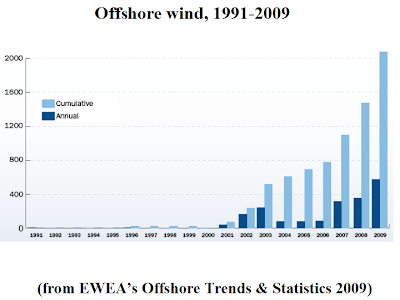 It increased wind’s 5-year average annual growth rate to 39% from the 32% mark for the 2003-to-2008 period. Wind power and natural gas together accounted for ~80% of all new power capacity installed in the U.S. in 2009. Wind now generates enough electricity in the U.S. to power the equivalent of 9.7 million homes. 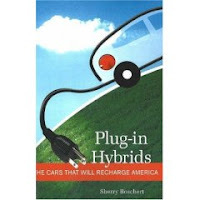 It avoids ~62 million tons of carbon dioxide per year (equivalent to taking 10.5 million cars off the road). It will conserve ~20 billion gallons of water per year that would otherwise be used in conventional power plants. 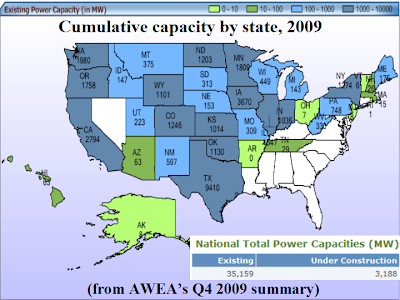 Texas was once again the most active state in the building of wind power and, in fact, added during 2009 more capacity than the total installed capacity of California, the 3rd leading state. Washington state moved past Minnesota into 4th place in state rankings by adding almost 5 times as much new capacity as Minnesota during the year. 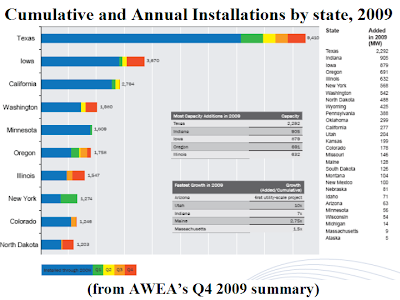 At the end of 2009, the top 5 states for installed capacity (and their total installed megawatts) were Texas (9,410), Iowa (3,670), California (2,794), Washington (1,980) and Minnesota (1,809). 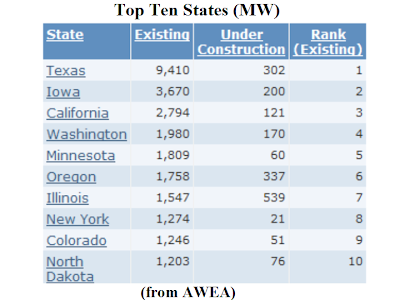 The states that added the most capacity in the year (and their new installed megawatts) were Texas (2,292), Indiana (905), Iowa (879), Oregon (691) and Illinois (632). 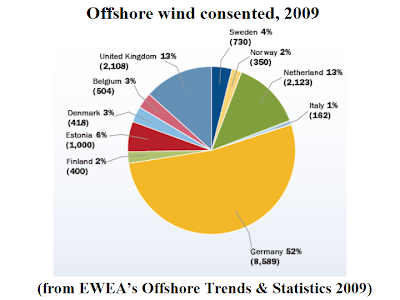 Though offshore wind remains an unacted on proposal in the the U.S., there is offshore activity outside Europe. The China National Offshore Oil Corp. (CNOOC), the country’s largest offshore oil producer, installed a 1.5 megawatt turbine in Liaodong Bay in the northeast Bohai Sea in 2007. 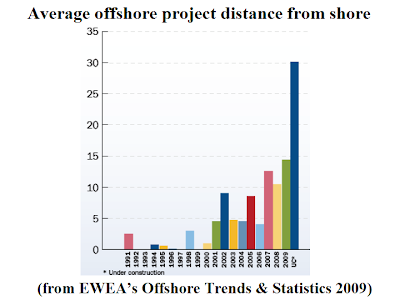 In 2009, China began building what is the first operating offshore project outside Europe, near Shanghai Dongdaqiao. 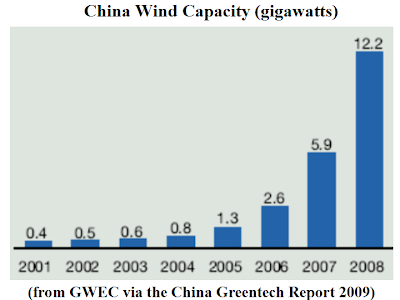 By the end of 2009, 15 turbines had been installed and 3 were connected to the Chinese grid. Expected to be completed this year, the project will have 34 Sinovel 3 megawatt turbines. China will also build the Rudong Offshore Wind Farm, three 3 megawatt turbines, in Jiangsu province and there are plans for offshore projects in Shandong province, Zhejiang province and Fujian province. Taiwan is planning the 600 megawatt Changhua Offshore Windfarm. It will be built in the Taiwan Strait by Taiwan Generation Corporation in partnership with SeaEnergy Renewables of Europe. North America’s biggest offshore wind project will be built off the coast of British Columbia, a 1,750 megawatt undertaking that will be installed in 5 phases. Siemens, a veteran European wind player, will supply 110 3.6 megawatt turbines for the first phase. In the U.S., there are 10 offshore projects, representing 2,000 megawatts of potential installed capacity, being planned by 4 companies. None has yet been approved. As European wind producers move into the offshore environment, the shape and demands of project develop are changing. 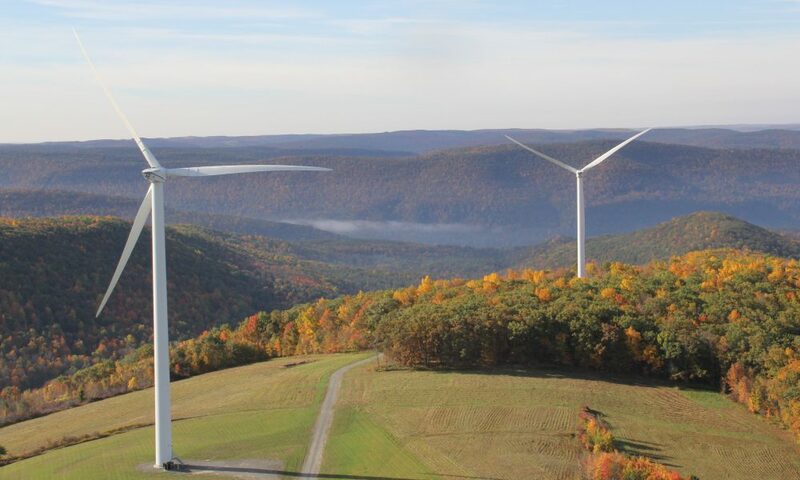 The standard onshore turbine is 1.5-to-2 megawatts for large, state-of-the-art projects. 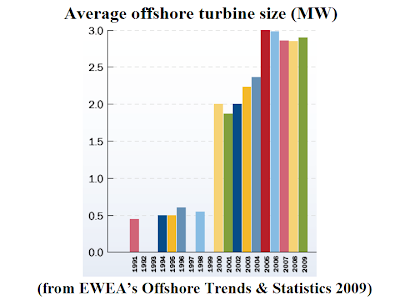 The average offshore turbine is 2.9 megawatts and there are cutting-edge installations with 5 megawatt turbines. 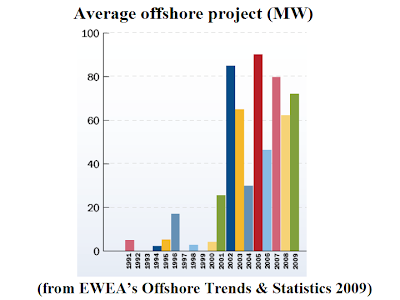 In 2009, the average size of offshore projects increased from 62.2 megawatts to 72.1 megawatts. Projects also moved into half-a-meter deeper water in 2009 but the average 12.5 meter depth is much shallower than 2010’s average construction depth of 21.8m. They are also moving farther offshore. In 2008, it was 10.5km; in 2009, it was 14.4km; projects now under construction are an average 30.1km from shore. The advances in turbine size and the approaches into more challenging ocean environments have pushed construction methods. Monopiles driven into the seabed are used for 65% of turbines and gravity foundations, which settle into the seabed, are used for 23% of the turbines. There were a series of crucial highlights regarding the financing of offshore projects in 2009. The credit crisis had a disproportionately inhibiting impact on the work of independent project developers. Along with the move to bigger turbines and deeper waters, the lack of available credit meant the role of governments became yet more important. The European Investment Bank became more involved in the offshore wind industry and its role is expected to continue being crucial. The European Commission’s Recovery Plan provided a crucial €255 million to keep 6 projects advancing. A unique joint financing arrangement for the Belwind and Boreas projects is expected to be a template for similar deals going forward. Newcomers on both the development and finance sides are coming into the space. The installation vessel fleet is expanding as fast as the industry can build but its necessarily slow growth could be the limiting factor in the expansion of the offshore industry. As Yogi Berra said, predictions are always difficult, especially predictions about the future. Nevertheless, the future of wind in the U.S. and Europe looks incredibly exciting. If Washington’s lawmakers can find it in their cold hearts to cooperate, the nation can reap enormous rewards from an industry that, despite the politicians’ recalcitrance, was one of the few bright spots in a dark 2008-09 economy. The U.S wind industry is fully capable of providing 20% of U.S. power by the mid 2020s and bring hundreds of thousands of quality jobs to the Rust Belt, the Heartlands and other underdeveloped and rural regions where jobs are most needed. 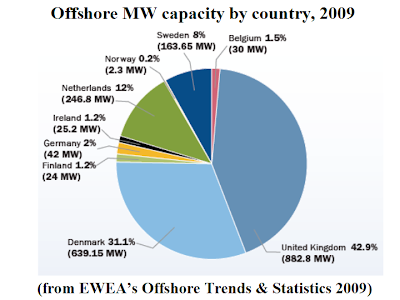 In Europe, the offshore wind industry is set for a 2010 growth of 75% over a banner 2009. But that’s just the beginning. The projects under construction and in planning could generate an industry that will provide 40-to-55 gigawatts of electricity in 2020 and 150 gigawatts in 2030. So far, nothing has been able to stop wind in this century. Not natural disasters or naysayers or fossil fools and their lobbyists or not-in-my-backyard NIMBYs and build-absolutely-nothing-anywhere-near-anything BANANAs or a disastrous economy. It is hard to see what, aside from policymakers' lack of vision and courage, is going to slow wind in the coming decades.